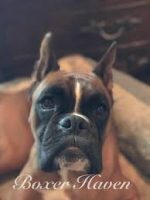 We are a small family-run boxer breeder located in beautiful Central Texas. 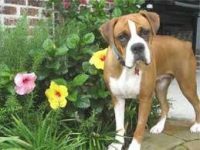 We are specifically located in Kempner, Texas and we specialize in the loyal Boxer breed. We strive for quality not quantity, and every puppy will come pre-spoiled and ready for their forever homes. These dogs are loyal, patient, very protective of family and endearing. We ask that you research this wonderful breed before you bring them into your home. attention from adults as well as children. 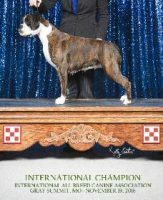 MIRAK BOXERS of Goodyear, Arizona, began in 2003, with the acquisition of a stunning black brindle female, by the name of TURO’S KATALINA AT MIRAK, also known as “Katy”. Katy exuded class, style and standard. The privilege to have possession of such a specimen drove our love for the breed into the future. 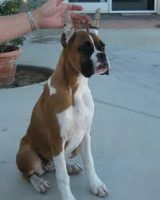 Kenny and I are boxer breeders who live in Flagstaff, Arizona. Our two boys, Chris & Brandon, are grown and living on their own. 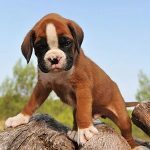 To fill the void they have left, we have become involved in breeding and showing quality boxers, focusing on health, temperament and the American Boxer Club standard. 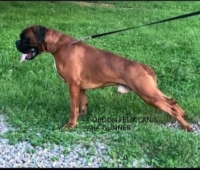 We decided to breed boxers on a professional level, focusing on breeding quality, healthy boxers, as well as educating boxer lovers on the breed. We feel very blessed to have had great success in the few years we have been breeding professionally. We are proud of our Indoor/Outdoor Boarding Facility. We have a staff of animal lovers who work hard with us to ensure that each of your pets has a safe, secure stay. We believe that your pets should also enjoy their visit, so all animals participate in three private or group play periods daily. We absolutely love the breed,and Jennifer has become a good friend and a wonderful mentor. 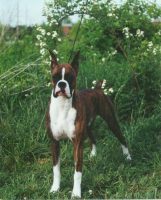 Jerome and I (Jeanette) take great pride in the quality of our boxers, focusing on health and temperament. Health, temperament, structure, and of course, clown like behaviors are top priorities for us. We love our dogs, and all of the entertainment they provide us. We have enjoyed meeting the Boxer people we have met, and enjoy sharing our knowledge and learning even more! We are Gene & Jennifer Tellier. 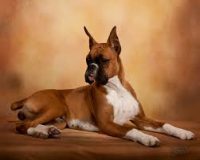 My fascination for this breed actually began as a child whileTelstar Boxers-Where it all began growing up in Great Britain. Living in central London, I had the marvelous opportunity to attend The world renowned Crufts Dog Show. Our acreage is not for farming, however is for our one true love, the Boxer. We have over 5 acres that is fenced completely off for our dogs to run and play free and safely. 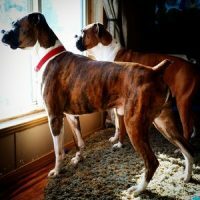 The love of boxers started all with one when we bought our pride and joy boxer, Dayzee Mae. Sadly we lost Dayzee Mae a few years ago to her battle with Lymphoma, however she has forever left her paw prints on our heart, and a love for boxers that will never die. Thanks for your interest in our Boxers! 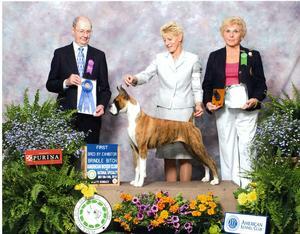 Located in central Florida, we are hobby breeders dedicated to keeping AKC Boxer standards. 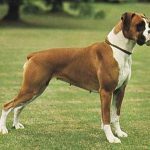 We breed for health, temperament & to improve the overall look of todays American Boxer. 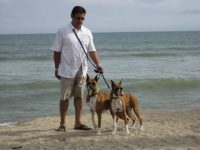 We are a small family owned breeder dedicated to raising beautiful top quality Boxers. 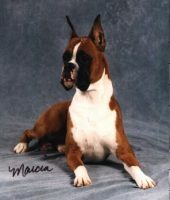 We have been breeding Boxers for 17 years. 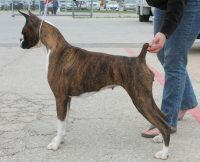 We breed for health, temperament, intelligence, agility, conformation and color. 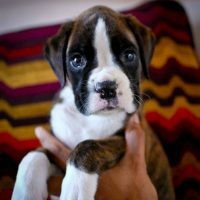 We take pride in providing our buyers with the best Boxer puppies to add to their family. 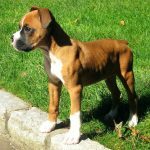 As we are dedicated to raise healthy and well balanced boxers, we do not breed often. Our dogs are raised in home environment not in kennels. We strive to preserve best of both German and American boxers. 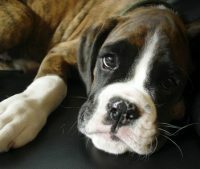 Our puppies are never placed with commercial breeders and puppy stores and each potential home is carefully evaluated. K and J’s Country Pups is a small family owned breeding kennel operation in the countryside of Honey Grove Texas. Honey Grove is located about an hour and a half North of Dallas TX. Very conveniently located close to Dallas, or Southern Oklahoma and a reasonable driving distance from northwest Louisiana or southern Arkansas. Our small facility is licensed and inspected by the state of Texas and is also AKC inspected on a regular basis. We only raise boxers .